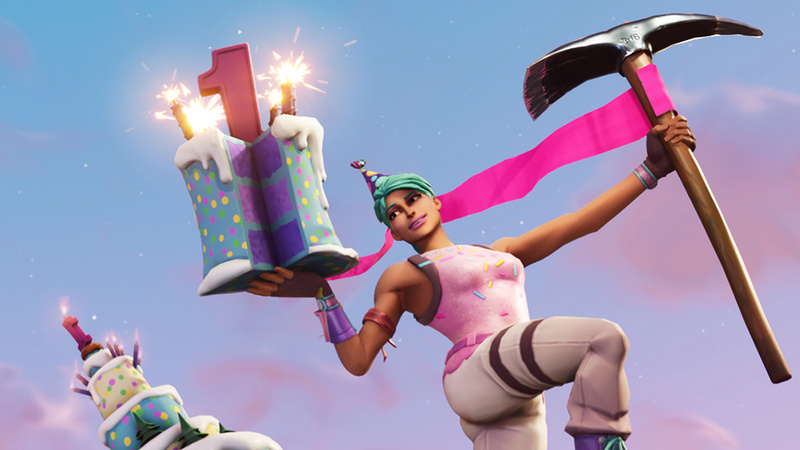 In just a few days (24th July, to be exact), global phenomenon Fortnite is celebrating its first birthday. Considering you can barely turn a computer on or look at your phone for five seconds without seeing the game pop up on your news feeds, it's pretty surprising that it's only been around for a year, but we're about to get some free goodies so we're not complaining. To celebrate the occasion, in-game challenges will start to appear on that special day. Completing the challenges will get you certain cosmetic rewards in a similar fashion to the usual challenges that appear throughout each season. If you're a fan of the game, make sure to jump into the fun next Tuesday. It seems like the famous Battle Bus might be getting a birthday makeover for the event, too. Will you be celebrating with a few games next Tuesday? Let us know with a comment below. That's pretty cool! I know I will try to take part if I am not too tired from work. This game has already brought me so much entertainment and I haven't spent a dime on it, the game's success is truly deserved. Wait 14 matches in a day? Same as you then @Dpishere don't get home until late. Lucky if we get 3-4 in. Great for those that can though! @DABYX Yeah 14 is pretty crazy, a large part of the reason I haven't purchased a battle pass is because it would basically require me to be devoted to this game alone to get all the stuff. I finally bought a battle pass and love the game. It has meant that I’ve devoted probably more time than I normally would, but I’m happy with my time with it. I definitely see myself getting to battlepass 50 at least. Of course they release free goodies while I’m on my annual break from video games. 😂 Here’s hoping those who can get them do! I swore I would never spend a penny on this game, but I got the battle pass and so glad that I did. Really fun and like playing it on switch more than any other platform! If you don't mind dropping your kd just spawn into tilted or somewhere high up and suicide lol. That still counts as a match. @starman292 Ha ha that is true, k/d isn't even counted on the Switch version yet as far as I know so that is doable. I'm specifically trying not to spend money on this game since I'm on a tight budget for the next couple months, but that battle pass is pretty tempting. I'll definitely load up on more free stuff whenever I can. 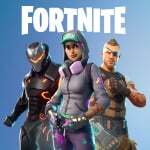 My son has got a lot of joy out of Fortnite so I was happy to reward the developers with some money and got him the Battle Pass. It's my nephews birthday tomorrow and I just bought him 2800 V Bucks. The game is not for me but my son and nephews absolutely love it. Oh boy, free items for someone who doesn't have plans on getting the battle pass! I would get it if I played more, but I mostly play with friends, though I'll be getting the twitch prime content when those rev up, so I guess it sorta supports the devs in a way. @MartyFlanMJFan Great! I’m glad they’re still enjoying it, and $10 for a battle pass isn’t bad when the game itself was free. If they play a bunch, they may even earn enough v bucks in a season to pay for the next pass. That’s what I did! @WreckItRyan When I had an Xbox One I never even downloaded it (mostly because I didn’t use the XB since I got my switch this year, too), but I grabbed it on switch the day it was revealed. About a week or two later I grabbed a pass and already earned bucks for season 5. Immensely enjoyable to me, especially since I can play anywhere in the house. @HappyRusevDay what? STW is getting far more birthday content. Look it up.